This Autumn, the Campaign to Fight Toxic Prisons from the US will be touring the UK with Community Action on Prison Expansion. IWW Cymru are pleased to announce that we will be hosting a couple of events across South Wales! Prisons are toxic environments causing social and ecological harm. Folks from the US have been organising resistance at the intersection of mass incarceration and the environment, successfully delaying the only current Federal prison construction for over 2 years! Through grassroots organising, advocacy and direct action they have been challenging the prison system which is putting prisoners at risk of dangerous environmental conditions, as well as impacting surrounding communities and ecosystems by their construction and operation. Come along to learn about their strategy and tactics, as well as broader struggles of prison abolition, anti-racism, and environmental justice. Information will also be shared about ongoing resistance to the six new mega-prisons in England and Wales, some proposed to be built on toxic sites (including radiological contamination and asbestos pollution) alongside the inevitable habitat destruction that comes with large scale construction projects. Want to learn more? Check out this great article on the Empty Cages Collective’s website! 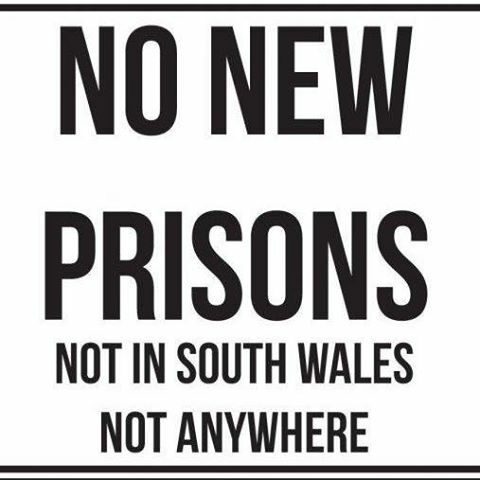 Please note: given the level of community interest in (opposition to) the planned prison in Port Talbot there is a chance there will be a big turnout so please can you get in touch / express your interest via the facebook event early so that we can make sure we have a large enough room?